For over a decade now, researchers have explored the developmental pathways leading to autism early in life. 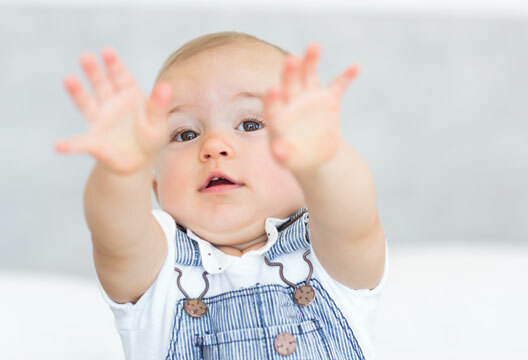 Converging evidence suggests that within the first year of life, remarkably little overt behavioural risk signs of the condition can be detected. Yet, dynamic changes in early brain development lead to divergent and increasingly variable pathways over time. There is also emerging evidence for resilience, where some infants may overcome the impact of genetic risk through active processes of neural reorganisation. Improvements in understanding risk processes in autism have great potential in informing clinical practice. The process of translating this knowledge into community impact rests on careful consideration of ethical and social issues. Estimates of the global prevalence of autism vary considerably, reaching up to 1 per cent of the total population and even higher in few countries (Elsabbagh, Divan, et al., 2012). In spite of the sparse research data, especially in low- and middle-income countries, mapping of research priorities across diverse communities suggests that the condition has become one of the most urgent public health challenges (Khan et al., 2012). In industrialised economies like the UK the annual cost of autism is around £3 billion (Knapp et al., 2009). Much of these social and ethical costs are due to limited uptake of evidence-based practice in the community, often complicating and delaying diagnosis and access to appropriate services several years beyond the point of initial parental concern. This situation is particularly problematic in view of growing consensus that early identification and intervention can improve long-term outcomes. Central to meeting these global autism challenges is a life-course approach, whereby early identification and intervention are believed to prevent the long-term disabling consequences of autism for the affected individual, and to substantially reduce demands and costs to health and social care systems (Khan et al., 2012). In this article, I review recent advances in understanding the root causes of autism and its developmental pathways in childhood, clarifying how these advances provide impetus toward addressing long-term translational goals. Indeed, these advances have already challenged and reshaped influential accounts of how and when the condition emerges early in life. In the 1970s, research into the genetic and neurobiological basis of autism led to the debunking of the myth that the condition is caused by so-called ‘refrigerator mothers’ who fail to show affection toward their children. Today, the field has moved away from ‘blaming’ mothers, instead stressing the critical role that families and supportive environments play in improving the lives of affected individuals. - specification of variable rates of developmental progress within the autism spectrum, as they occur along distinct functional, cognitive and language dimensions, that are much broader than what narrow diagnostic categories capture (e.g. Georgiades et al., 2007). These and other findings are gradually shifting the way scientists model the root causes of autism. We have abandoned a simplistic view of etiology where a single gene, brain region or neatly defined cluster of symptoms can account for autism (Happé et al., 2006; Nickl-Jockschat et al., 2012). Furthermore, instead of defining the phenotype as a narrow categorical disorder, there is growing evidence around the classic idea of a spectrum of conditions affecting individuals differently; some can lead independent and fulfilling lives, but many develop substantial cognitive, medical, educational, functional and social difficulties that have a serious negative effect on their quality of life. Consistently, some scientists suggest that these ‘autisms’ may well have distinct root causes, underlying biological processes, and developmental pathways. In sum, autism poses a complex scientific challenge where heterogeneity in the root causes or in the resulting phenotype needs to be taken seriously. Therefore, it is paramount to understand the emergence of the condition from the earliest stages, and prior to the onset of symptoms in toddlerhood. It is within this early period that we have a window of opportunity to observe and study the unfolding neural and behavioural phenotype before it becomes complicated by atypical interactions within brain systems and with the environment. Seeking to understand the complex interplay between genes, phenotypes and environment, a rapidly growing area of research falls at the crossroads of research on infancy and autism. This emerging field draws on innovative basic science, which has in the last decade succeeded in getting answers from babies about their development, cognition and communication. Because autism is rarely diagnosed before two years of age, several ongoing large-scale studies have been tracking the development of infants at-risk for autism, by virtue of having an older diagnosed sibling. These infants, relative to those with no family history of autism, are at substantially higher risk for developing the condition as toddlers (Ozonoff et al., 2011). As these independent and large cohorts advance along their developmental trajectories, it is becoming possible to prospectively account for patterns of brain and behavioural change. Among these studies is the British Autism Study of Infant Siblings (BASIS), which recently completed follow-up of the first 100 infants from around six months to three years of age. About 30 per cent of these infants received an autism diagnosis in toddlerhood, and several others in the at-risk group exhibited various forms of developmental concerns, such as language delay or attentional difficulties, without meeting criteria for autism. BASIS, in my view, complemented the growing body of literature in this area in three unique ways. First, controlled laboratory experiments showed that, contrary to prevalent theories in this area, those infants who went on to develop autism as toddlers initially show many of the typical social responses expected for their age. Second, direct measurement of brain activity signalled atypical neural processes preceding the emergence of overt behavioural signs of the condition. Finally, the earliest manifestations of autism were detected across multiple social and non-social systems, rather than being restricted to precursors of the core social and communication symptoms that define the condition. A few illustrative findings reviewed next highlight the significance of these claims to the goal of understanding root causes in autism. Influential hypotheses suggest that autism results from an initial lack of attention to or interest in socially relevant information. This initial impairment precludes later development of key social and communicative milestones, such as joint attention, and leads to the emergence of characteristic symptoms of autism. In contrast to these claims, several previously published studies with infants at risk (reviewed in Elsabbagh & Johnson, 2010) suggest that overt social and communicative behaviours may appear typical in this group within the first year of life. One limitation of these findings is that they come from observational studies or those employing unstructured settings, which potentially mask more subtle but reliable differences in infants who go on to develop autism. In a series of highly controlled laboratory experiments with BASIS infants, we showed that seven-month-old infants at risk who later developed autism typically orient to faces embedded among distractors (Elsabbagh, Gliga, et al., 2012). The same infants reliably follow gaze of another person toward an object in the periphery (Bedford et al., 2012). Moreover, they typically scan internal face features, including the eyes and mouth, when viewing dynamic faces displaying various communicative cues (Elsabbagh, Bedford, et al., 2013). In contrast to these behavioural findings, direct measurement of brain response to socially relevant information within the same developmental period characterised the subgroup of infants who developed autism as toddlers (Elsabbagh, Mercure, et al., 2012). Specifically, infants in the control group and those at risk who did not develop autism showed clear differentiation between faces looking directly at them vs. faces looking away, which we interpreted as an understanding of the referential nature of gaze cues (a well-established precursor to joint attention). Yet, infants who went on to develop autism exhibited a diminished response difference to dynamic gaze cues (toward vs. away). Therefore, neural processes relevant for interpreting gaze cues are already atypical, prior to the onset of overt signs of the condition. What happens after the first year? Dynamic developmental changes continue to unfold and more reliable characteristics become increasingly clear in the second year of life in the infants who later develop autism. In the BASIS cohort, these include atypical processing of social information (Bedford et al., 2012), delays in motor development (Leonard et al., 2014) and decreased flexibility of visual attention (Elsabbagh, Fernandes, et al., 2013). It is also in this period that interactions between these infants with their caregivers become increasingly asynchronous (Green et al., 2013; Wan et al., 2012). Still, signs at this age are variable across infants and only indirectly map onto diagnosis at three years of age. In sum, contrary to previously proposed accounts, autism is not the result of impairment in orienting or sustaining attention to socially relevant information. Infants who later develop the condition initially exhibit a range of age-appropriate social and communication precursors, but over time atypical interactions across multiple brain systems and with the environment become compounded and amplified, leading to characteristic symptoms that define the disorder. Of course, these findings hold in cases of familial risk, and different underlying risk process might be found in cases where there is no familial risk, a possibility yet to be explored. The putative pathway of infants who later develop autism, described above, is only one among several hypothetical and observed pathways seen in these large-scale studies. A wide range of tasks revealed developmental differences in the at-risk group as a whole relative to those with no family history of autism (reviewed in Elsabbagh & Johnson, 2010). Indeed, one of the reasons why autism signs in infancy are very difficult to establish is because those at risk who do not develop autism share many of these signs with those who do. Moreover, infants who do not develop autism may still exhibit developmental concerns in areas like language and attention in toddlerhood, but without meeting criteria for autism. This pattern, known as the broader autism phenotype, has been previously documented in older relatives of diagnosed individuals (Pickles et al., 2000). Therefore, familial history of autism confers risk for variable pathways where an autism diagnosis is only one of the possible childhood outcomes. Here too BASIS provided a unique perspective on these variable developmental pathways. Preliminary findings suggest that at least in some cases, the infant brain may respond to genetic risk by spontaneously reorganising in order to prevent the onset of disabling symptoms from emerging. Support for this claim is based on findings where atypical responses observed in a range of brain-function measures in the first year were not always driven by the subgroup who developed autism as toddlers (Elsabbagh, Mercure, et al., 2012). In fact, some atypical responses were uniquely associated with the subgroup of infants who did not develop any clinical outcomes in toddlerhood. Therefore, at least some infants may be actively responding to early genetic risk by recruiting alternative neural mechanisms, a pattern described as ‘canalisation’. Therefore, this developmental approach has further highlighted the variable and probabilistic nature of pathways leading to autism. The notion of dynamic developmental pathways is not restricted to the early infancy period, but is also neatly captured by studies of young diagnosed children who are followed up over time. For example, a large Canadian study (ASD: Pathways to Better Outcome) has been prospectively following 400 children from the time of diagnosis onward. Findings suggests that the architecture of autism symptoms differs significantly around the time of diagnosis (two to four years) vs. later at six years (Georgiades et al., 2013). Observed differences between these two time points encompass differing levels of symptom severity, adaptive functioning skills and emotional/behavioural problems. Additional analysis of the same dataset also suggests that over time, subgroups of children take on distinct and increasingly divergent developmental pathways. Notably, a minority exhibit a clear reduction in symptom severity over time (Szatmari et al., in press). Converging findings come from an American cohort of over 300 children followed from two to 15 years of age, highlighting that a minority of children improve over time (Gotham et al., 2012). While there is general agreement across studies – despite variation in samples and analytic methodology – that some children improve over time, there is less consensus on whether this pattern signals ‘recovery’. One review suggested that 3–25 per cent of diagnosed children may eventually lose their diagnosis (Helt et al., 2008). However, major limitations need to be overcome before this claim is substantiated. First, there is disagreement on how to define recovery and whether it should be restricted to changes in autism symptoms, or inclusive of general cognitive and adaptive levels. Second, in many studies, it is not clear that children in this putative recovery group warranted a diagnosis in the first place, given well-known instability of diagnosis early in childhood (especially for some forms of autism). Specifically, the group may include children who experience early developmental challenges that resemble autism but are resolved spontaneously over time. Third, current evidence draws on inadequate small samples often studied using retrospective designs or trials, rather than being prospectively followed for a long period of time. Finally, many factors have been proposed to explain putative recovery, including age of diagnosis, cognitive characteristics, access to treatment, and so on. However, there is currently no explicit theoretical proposal regarding the neural processes mediating recovery and those potentially influenced by the environment. Indeed, such processes may relate to the neural reorganisation suggested in the case of canalisation (Elsabbagh & Johnson, 2010). In sum, there is growing consensus that autism is associated with a wide range of possible developmental pathways from infancy onward. Intermediate diagnostic outcomes in cases of familial risk are much broader than an autism diagnosis but encompass other developmental challenges and of course typical outcomes. Beyond the period of diagnosis, children progress along variable pathways of symptomatology, cognitive achievement and adaptive functioning. There is hope that pathways of canalisation and recovery may prove real, but evidence for such pathways is currently limited. More robust theoretical models are needed to generate testable hypotheses about factors promoting such pathways and the neural processes mediating them. Converging findings from various research areas support probabilistic and indirect mapping between genetic and/or environmental factors and developmental outcomes. Dynamic gene by environment interactions during the period of maximal brain plasticity lead to variable developmental pathways, not readily predicted by a simple model of risk. In some cases, early manifestations of risk, observed as differences in very early brain function, are compounded and amplified in leading to autism in toddlerhood. In other cases the infant brain may be resilient in the face of genetic and/or environmental risk, restoring the typical trajectory through processes of brain adaptation and plasticity. Later in life, seemingly divergent developmental pathways may share the same etiological pathway. Turning back to the beginning of this article, how does this knowledge bring us closer to meeting the global challenges of autism (Khan et al., 2012)? It has been frequently suggested that the value of this research area is to identify warning signs and develop early therapeutic approaches. As a result, our field is now hampered by several scientific and ethical controversies centred on the issues of When does autism begin? and Does it ever go away? For example, there is a lively debate as to about a hypothetical behavioural or biological test that can be used in the doctor’s office to diagnose autism in infancy, and the related clinical and ethical issues that are yet to be resolved. There is also disagreement as to whether laboratory measures such as EEG, MRI, and eye tracking, will eventually aid or replace behavioural diagnosis in childhood (Walsh et al., 2011). Moreover, the proposed case of ‘recovery’ in autism caused a backlash where scientists were accused of providing false hopes, when many in the community are advocating for the idea that autism is a lifelong condition that warrants acceptance and support. In view of this, I would like to wrap up with three concrete proposals for where the ‘true’ value of the science lies. First, ‘good science’ does not need to be justified and does not directly yield products other than knowledge. Its intrinsic value is to move us forward in an incremental, iterative and slow path. In the case of research on infants at risk, I think it is remarkable that, in only a few years, we have already challenged fundamental assumptions about the origins of autism in infancy. While we can hope for breakthroughs along the scientific discovery path, any hype surrounding the possibility of immediate diagnostic tests will only serve to undermine true progress. Second, formal translational research in this area has already started and is no longer a distant goal. For example, the success of experimental and clinical research in BASIS provided the necessary impetus and infrastructure to develop an integrated intervention research arm (iBASIS). The goal is to evaluate, using a randomised controlled trial, whether supporting parents within the early period may help prevent disabling consequences from emerging (Green et al., 2013). Finally, there remains a very wide gap between, on the one hand, advances in scientific understanding of brain development and, on the other, the integration of this knowledge into policy and practice. In this vein, each community has its own immediate and pressing needs. Therefore, each community needs tailored solutions that not only build on existing evidence, but also harness their existing capacity and unique strengths (Elsabbagh, 2012; Khan et al., 2012). Scientists have played and continue to play a critical role in supporting communities to map research knowledge onto these needs and contribute towards development of tailored solutions bringing about immediate impact. Bedford, R., Elsabbagh, M., Gliga, T. et al. (2012). Precursors to social and communication difficulties in infants at-risk for autism. Journal of Autism and Developmental Disorders, 42(10), 2208–2218. Elsabbagh, M. (2012). Perspectives from the common ground. Autism Research: Official Journal of the International Society for Autism Research, 5(3), 153–155. Elsabbagh, M., Bedford, R., Senju, A. et al. (2013). What you see is what you get: Contextual modulation of face scanning in typical and atypical development. Social Cognitive and Affective Neuroscience, 9(4), 538–543. Elsabbagh, M., Divan, G., Koh, Y.-J. et al. (2012). Global prevalence of autism and other pervasive developmental disorders. Autism Research, 5(3), 160–179. Elsabbagh, M., Fernandes, J., Jane Webb, S. et al. (2013). Disengagement of visual attention in infancy is associated with emerging autism in toddlerhood. Biological Psychiatry, 74(3), 189–194. Elsabbagh, M. & Johnson, M.H. (2010). Getting answers from babies about autism. Trends in Cognitive Sciences, 14(2), 81–87. Georgiades, S., Szatmari, P., Boyle, M. et al. (2013). Investigating phenotypic heterogeneity in children with autism spectrum disorder. Journal of Child Psychology and Psychiatry, and Allied Disciplines, 54(2), 206–215. Georgiades, S., Szatmari, P., Zwaigenbaum, L., et al (2007). Structure of the autism symptom phenotype. Journal of the American Academy of Child & Adolescent Psychiatry, 46(2), 188–196. Gotham, K., Pickles, A. & Lord, C. (2012). Trajectories of autism severity in children using standardized ADOS scores. Pediatrics, 130(5), e1278–1284. Green, J., Wan, M.W., Guiraud, J. et al. (2013). Intervention for infants at risk of developing autism: A case series. Journal of Autism and Developmental Disorders, 43(11), 2502–2514. Happé, F., Ronald, A. & Plomin, R. (2006). Time to give up on a single explanation for autism. Nature Neuroscience, 9(10), 1218–1220. Helt, M., Kelley, E., Kinsbourne, M. et al. (2008). Can children with autism recover? If so, how? Neuropsychology Review, 18(4), 339–366. Khan, N.Z., Gallo, L.A., Arghir, A. et al. (2012). Autism and the grand challenges in global mental health. Autism Research: Official Journal of the International Society for Autism Research, 5(3), 156–159. Knapp, M., Romeo, R. & Beecham, J. (2009). Economic cost of autism in the UK. Autism: The International Journal of Research and Practice, 13(3), 317–336. Leonard, H.C., Elsabbagh, M. & Hill, E.L. (2014). Early and persistent motor difficulties in infants at-risk of disorder. European Journal of Developmental Psychology, 11, 18–35. Lewis, J.D. & Elman, J.L. (2008). Growth-related neural reorganization and the autism phenotype. Developmental Science, 11(1), 135–155. Lionel, A.C., Crosbie, J., Barbosa, N. et al. (2011). Rare copy number variation discovery and cross-disorder comparisons identify risk genes for ADHD. Science Translational Medicine, 3(95), 95ra75. Nickl-Jockschat, T., Habel, U., Michel, T. et al. (2012). Brain structure anomalies in autism spectrum disorder. Human Brain Mapping, 33(6), 1470–1489. Pickles, A., Starr, E., Kazak, S. et al. (2000). Variable expression of the autism broader phenotype. Journal of Child Psychology and Psychiatry, and Allied Disciplines, 41(4), 491–502. Scherer, S.W. & Dawson, G. (2011). Risk factors for autism. Human Genetics, 130(1), 1–26. Szatmari. P., Georgiades, S., Duku, E. et al. (in press). Developmental trajectories of symptom severity and adaptive functioning in an inception cohort of preschool children with autism spectrum disorder. JAMA. Walsh, P., Elsabbagh, M., Bolton, P. & Singh, I. (2011). In search of biomarkers for autism. Nature Reviews Neuroscience, 12, 603–612. Wan, M.W., Green, J., Elsabbagh, M. et al. (2012). Parent–infant interaction in infant siblings at risk of autism. Research in Developmental Disabilities, 33(3), 924–932.